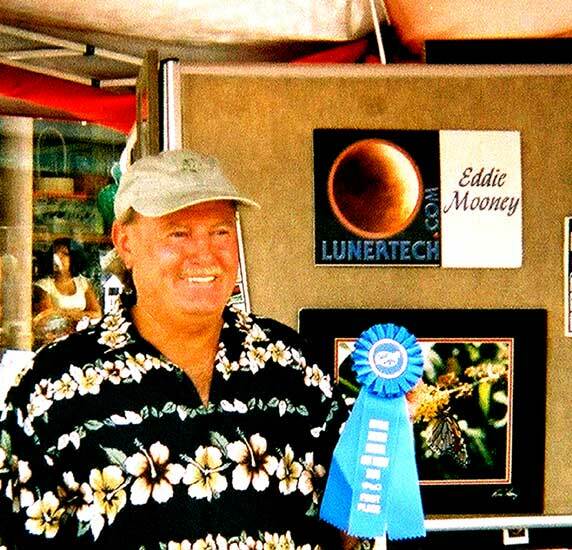 Edward Mooney has been taking photos for almost 25 years but didn't begin to share them with the public until 2002. Eddie spent his very early years in Brooklyn; so of course, he has a true love for Brooklyn and New York City. The rest of his life has been spent on the beautiful south shore of Long Island. He's lucky to be surrounded by inspiring locations from New York City, to Fire Island, to the Hamptons and Montauk Point (also known as The End). Please take a look though the site. He's captured some great photos from around the Northeast coast. His love of boating, bridges, lighthouses, fishing, sunrises, sunsets, flowers and hot air ballooning can be seen throughout the site. Hopefully you'll agree that he has captured some exceptional images. He takes the time to study what he sees in the image. He not only pulls out colors from the image into the double/triple matting, he goes all the way out to the frame to give a finished reflection. He thinks of them as not just photos- but moments in time. Take a look at our framing process pages to see what you can expect from our finished and framed photos. 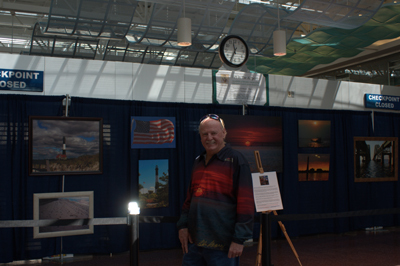 Ed has exhibited at Stony Brook University Hospital, Montauk Point and Wyland Gallery, just to name a few. 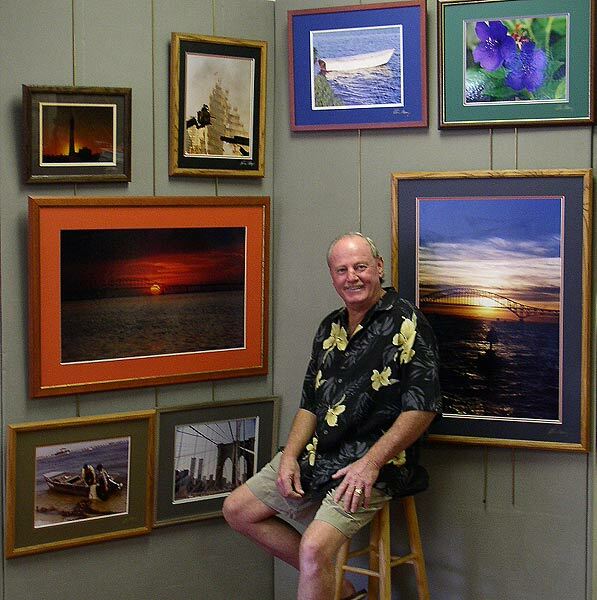 His work is on display in several galleries, at Montauk Point and Fire Island Lighthouse. 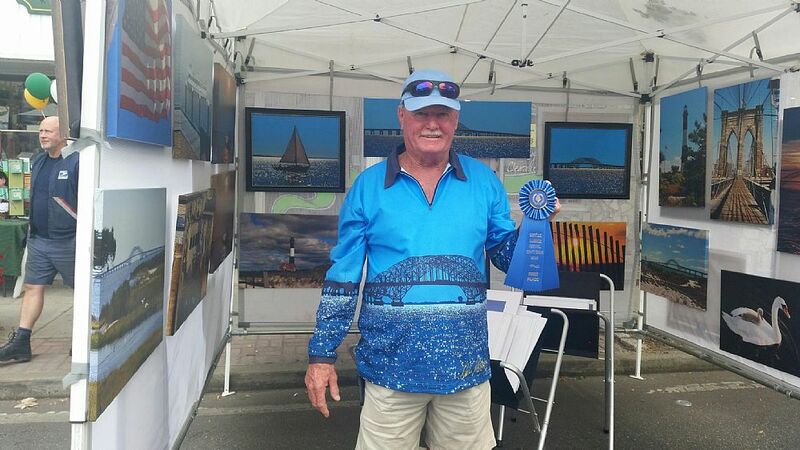 Ed is a member of the Babylon village Art Council, Islip arts Council, Chamber of Commerce, Montauk's Artist Association, Merchant's Circle and the Long Island Photo Gallery (LIPG). 1st prize at an annual Stony Brook University Hospital photo contest. 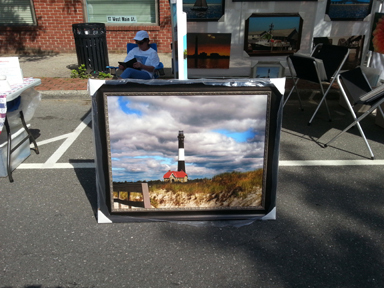 1st prize for photography, in all categories, in an art show in Sayville, Long Island, New York in 2003. 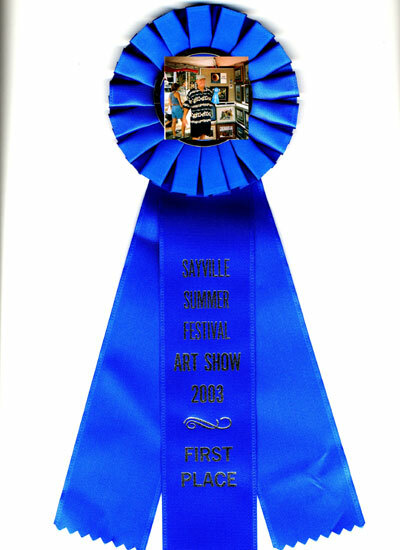 2nd prize for photography in Sayville in 2004. Invitation only- Exhibited with a limited group of artists in an "Art in the Park" series in Massapequa in July of 2007.